CLEPA strongly supports and urges the review of the General Safety Regulation as a driver to further implement vehicle technical requirements, with the aim of increasing vigorously vehicle safety performances. Firstly, and most importantly, the reduction of road fatalities and the mitigation of injuries resulting from road accidents. The swift deployment of Connected and Automated Driving (CAD). CLEPA fully supports the European Commission´s target of halving the number of annual road fatalities in the EU compared to 2010 by 2020. Unfortunately even though the total number of victims and injured has been reduced, progress seems to have stagnated recently and extraordinary measures have become necessary for achieving the desired effects. As the Commission reported, in 2016 more than 25,000 people lost their lives on EU roads and a further 135,000 were seriously harmed – figures that have not been reduced significantly since 2013, and – as a side note – that have cost an estimated €100 billion. According to an ETSC analysis, the number of road deaths will now need to fall by 11.5% per year in order to meet the EU target by 2020. The past introduction of important safety systems and technologies into the market such as seat belts, airbags and electronic stability control (ESC) have proven to be successful in reducing the number of casualties on Europe’s roads. Since the adoption of the General Safety (EC/661/2009) and Pedestrian Safety (EC/78/2009) Regulations in 2009, vehicle safety technology has further progressed. Active and passive safety systems have been enriched with many technically and economically mature real-life innovations that have been already rewarded for their promising results in consumer car assessment and rating programmes such as Euro NCAP. However, while many car manufacturers successfully meet new Euro NCAP requirements, the market remains generally uneven due to the lack of regulatory requirements. Thus, as minimum vehicle safety standards are an area of exclusive EU competence, more ambitious safety standards for all vehicle categories need to be introduced through the revision of the General Safety Regulation and of the Pedestrian Safety Regulation. The revision of these Regulations, which have been expected for several years, has been subject to numerous delays. The latest further postponed the proposals to May 2018. The European automotive suppliers welcome the list of safety technologies selected by the European Commission for inclusion in the revision of these two safety Regulations, but all 24 candidate measures must urgently be delivered as a regulatory proposal. The mandatory requirements should also be extended to other vehicle categories as relevant and cost-effective measures. Moreover, in order to achieve drastic progress in road safety, CLEPA calls for an integrated approach including vehicles, infrastructure and road users. More focus on vulnerable users, covering children and ageing population, is necessary as the majority of the accidents occurs in urban areas where pedestrian and cyclists bare the higher risk. Member States are demanding action as well. The Valletta Declaration on Road Safety, formally adopted on 29 March 2017 by all EU Transport Ministers, calls to accelerate the Commission´s work on new vehicle safety standards. Following the Declaration, a letter was sent in February 2017 by eight Ministers of Transport asking for new measures and higher safety standards for cars and trucks to be launched before the end of 2017. Furthermore, in a resolution adopted on 13 November 2017, the European Parliament called as well on the Commission to update vehicle safety regulations ‘without delay’. Beyond 2020 new mobility concepts will potentially necessitate the introduction of further measures to improve road safety, for which, amongst others, more detailed and consistent accidentology analysis need to be put in place in order to select the most effective solutions and allow the optimization of investments that will be certainly necessary. Besides the sheer benefits of reducing the number of fatalities and serious injuries, the introduction of new safety measures and the consequent reduction of accidents will also produce effects such as the decrease of road congestion, CO₂ emissions, emergency service requirements and related economic costs. Additionally, the adoption of ambitious safety standards through European legislation will boost harmonisation in standards and production, easing the development of new technologies at lower costs. Besides, the global leadership and competitiveness of the European automotive industry in this sector will considerably benefit, as most of the safety systems are developed and supplied in Europe. New safety requirements will push forward European research, development and innovation, contributing to generate growth, jobs and investment in the European Union. It should also be considered that the revision of safety requirements will pave the way for the safe deployment of Connected and Automated Driving (CAD). 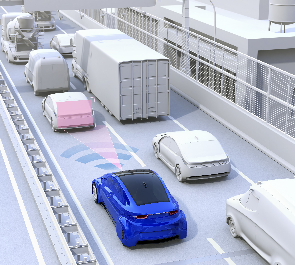 In fact, making driver assistance technologies such as Advanced Emergency Braking systems mandatory will introduce features like camera and radar into all vehicles, key devices to enable advanced systems or features of future automation and connectivity. Standardising such technologies will undoubtedly be a milestone towards self-driving vehicles. However, the full potential of these systems can be exploited and become reality only with a large-scale deployment in vehicles on EU roads. In conclusion, considering that vehicle safety technology is a crucial contributor to road safety moving towards Vision Zero, and that these technologies are already available, mature and affordable, CLEPA strongly calls for improved minimum vehicle safety standards for all vehicle categories and the mandatory introduction of the 24 proposed measures via a swift revision of the General Safety Regulation and Pedestrian Safety Regulation. Representing a decisive chance for the EU to reach scale effects and significantly increase safety for mass transportation in real world conditions, other delays in the proposal and in its implementation must be avoided.